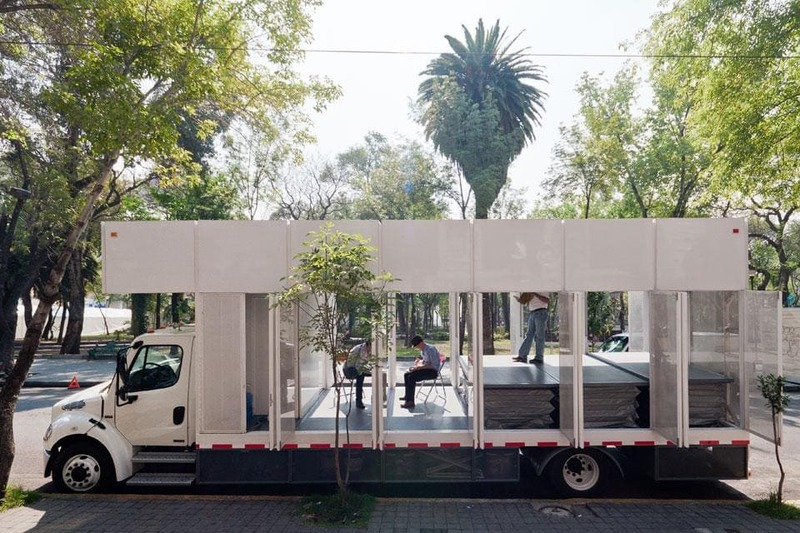 Bookmobiles are old hat, but have you ever wndered what it would be like to put an entire library on wheels? I think I found one in Mexico City. The architecture magazine Domus has a new article up on their website today. It features a freight truck which has been converted into a bookmobile (and then some). Going by the name of A47, this truck carries 1200 books round the city. People can check out the books, return them, or simply browse. But that's not all this truck can do. What caught my eye here is that this bookmobile is a library in the full sense of the word. 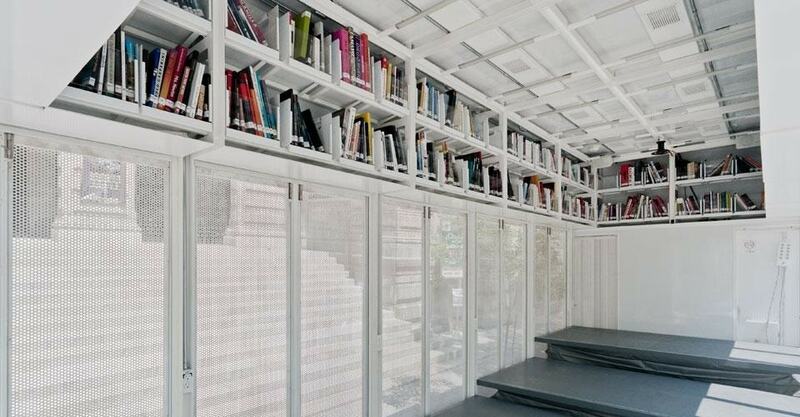 Like a brick and mortar library this truck has more than books; it can also be a culture center - on the go. As part of its conversion, this truck was equipped with hydraulic floors. Raise the floors and you have a stage which can be used for recitals and other performances. Now that would be something to see, wouldn't it? The lorry is a forum that can be used as a venue for an endless number of activities: book presentations, film clubs, poetry readings, workshops, as well as the opportunity to consult its bibliographic holdings. There are story readings and drawing sessions for children, while for adults there is the historiography and oral history of the colony. The raised platform of the A47 allows users to make use of the library in much the same way that an actor appropriates the stage. I know I tend to focus on only a single activity found in libraries, and it's stories like this that remind me of all the million and one other ways that libraries build and support the community. I think it really puts things in perspective. A regular bookmobile could easily be seen as a precursor to ebooks, but there's no way to match the A47 in relation to new technology. It represents the core cultural aspect of libraries in a way that cannot be copied digitally.